If you are disabled, hiring an experienced Ocala FL Social Security disability lawyer as soon as possible can make all the difference in your disability claim. Too often, the Social Security Administration denies valid claims — leading to prolonged delays and financial hardship. Before you file for benefits or appeal a denial, speak with a disability lawyer to learn about your options and how to proceed. You may be eligible for Social Security disability benefits if you are unable to work due to a severe physical or mental health condition. In order to qualify, you must meet the Administration’s definition of disability. Typically, this means that your medical conditions must prevent you from doing full-time work for at least 12 months. However, depending on your age, work experience and medical conditions, the disability criteria may vary. An Ocala FL Social Security disability lawyer can advise you regarding your eligibility for benefits. Work credits are based on your earnings and Social Security contribution. If you have never worked, you may not be eligible for Social Security disability. This is also true if you have been unemployed for a prolonged period. 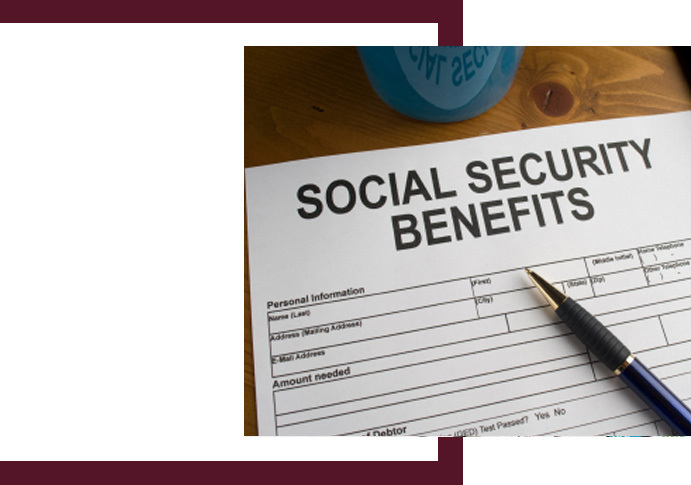 However, if you have limited financial assets, you may still be eligible for Supplemental Security Income (SSI). An Ocala FL Social Security disability lawyer can help you assess your eligibility and maximize your benefits. Applying for Social Security disability without an attorney’s help may not be in your best interests. Most successful Social Security applications include extensive medical evidence and a detailed analysis of your disability claim. You cannot assume that the Social Security Administration will fully investigate your claim. Too often, the Administration will make a decision based on limited evidence. An Ocala FL Social Security disability lawyer can guide you through the process and assure that your application is complete and fully developed. Unfortunately, the Administration denies most Social Security applications. A denial can be emotionally devastating, but you should always consider appealing. Only about 35% of Social Security applications are approved — and many of these denied claims are legitimate. If your Social Security application is denied, you typically must appeal within 60 days. You may have to restart the disability claim process if you do not meet this deadline. For this reason, you should contact an experienced Ocala FL Social Security disability lawyer as soon as possible. He or she can help you file the correct paperwork and help you build a stronger appeal. Often, the Administration denies valid claims because of mistakes and misunderstandings. However, appeals frequently require detailed discussions of your medical evidence and the relevant legal arguments. It can be difficult for an unrepresented claimant to properly prepare a claim on appeal. For this reason, you should speak with an Ocala FL Social Security disability lawyer who is willing to pursue appealable cases. You shouldn’t give up on your claim. Your attorney may improve your chances of a successful appeal. How Can an Ocala FL Social Security Disability Lawyer Help You With a Disability Claim? When you don’t have a lawyer, the Social Security disability claims process can seem overwhelming. You must provide detailed information about your medical conditions, work history, and functional limitations. You have to complete multiple and sometimes repetitive forms. Furthermore, preparing a Social Security disability claim while dealing with chronic pain and other symptoms can be even more difficult. For these reasons, it is easy for unrepresented claimants to make mistakes. A lawyer provides peace of mind. Moreover, having experienced legal counsel gives you time to focus on your medical treatment and well-being. Your attorney will also not charge a fee unless you receive benefits. Liebenhaut Law represents claimants in disability claims and appeals. If you need an Ocala FL Social Security disability lawyer, we are here to help you get the benefits you deserve.